Finally we have a good reason to pull out the 12th Fleet Cavalry !!!! With the new battle Zone being more fleet orientated. It is the perfect setting to implement the 12th fleet Calvary.... This will be epic fun and will show other players out there that our fleet is alive and strong. We can use 1 main volunteer fleet coordinator each fleet event> The cavalry will be separated into a 3 - 4 separate teams/squadrons who will then be directed by the main fleet coordinator. We will use both zone and fleet chat to coordinate direction. If you have team speak this would be a great time to pull it out and get to know your fleet mates and have some fun doing it!! As long as the battle zone stays difficult it will be a great challenge for us to work together on. Nothing like a good challenge to bring us all together. I will be proud to fight along side you. I hope see you on the battle field !! I will be going into the battle zone now. 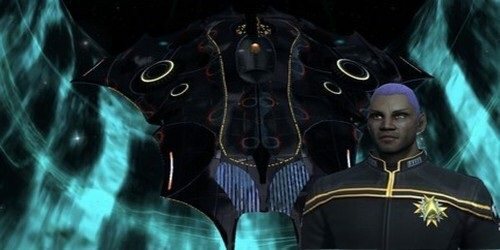 I would like to call on the assistance of all captains the help defeat this Tzenkethi threat! Last edited by Maverick on Tue February 7th, 2017 2:06 am, edited 2 times in total. Last edited by Maverick on Tue February 7th, 2017 8:53 pm, edited 1 time in total. You guys are welcome to keep this up for the day!! I have to go now. My Wife is home now and im going to spend rest of night with her ! Please keep up the fight !! The best you can with or with out me!!! Today is a good day to Group up and show some 12th fleet force! Man it felt good flying with the 12th in force in the Battlezone! I'm loving it!! We need to help this event grow! Imagine flying with 15 or more of your fleetmates at one time. We can also pull in our armada allies! It is Quite the show to see everyone working together . This will make other players want to join us too! gg everyone I will see you guys next event next week! Great idea!! I'm traveling next week, but I'll see if I can log in.